Sometimes simply comparing a diverse opportunity set can help you see things in a valuable new light. This week’s Weekly reviews a specific growth stock on sale, shares a list of over 400 stocks with yields over 5% (many of which we have written about, and some of which we own), and finally considers the attractiveness of selling income-generating “covered call options” on two of the higher yielding securities on our list. The powerful growth stock is PagSeguro Digital, the largest Brazilian online payment company (in terms of TPV), and it just went public in January of 2018. PAGS was launched (prior to going public) in 2006 by Brazil’s largest internet company (UOL). UOL’s credibility in the Brazilian Internet sector was key to the successful launch, and remains key to success today. 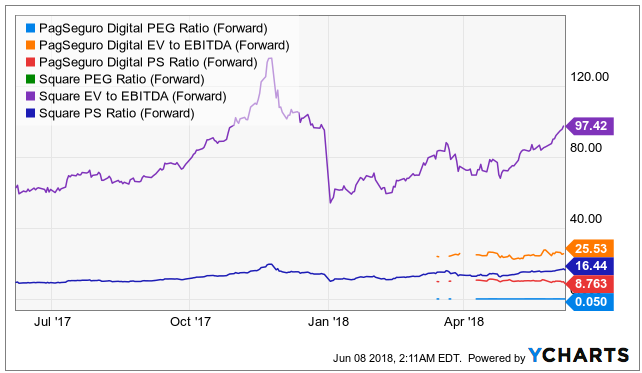 PAGS has recently sold off significantly, but not because of stock-specific challenges, but rather inappropriately because the entire Brazilian market has sold-off on volatility. We don’t like to attempt to catch falling knives, but we do believe this particular business has enormous growth potential and now is an attractive time to buy (i.e. after the sell-off). PagSeguro Digital’s total addressable market is large and expanding. For starters, Brazil represents the largest e-commerce market in Latin America, according to a 2016 report by PFSweb.The report estimated that Brazil's e-commerce market would grow by 40% between 2016 and 2018, exceeding $27 billion in sales. Up to 47 million people were forecasted to shop online by 2018. According to a 2016 review by Export.gov, Brazil's "ecommerce segment ended 2016 with US$13.4 billion (R$43b using a R$3.21 exchange rate) in earning, an increase of 7.4 percent compared to 2015." Despite Brazil's economic troubles in recent years, the report highlighted a 12 percent growth rate, with 48 million out of Brazil's 122 million Internet users (39.3%) making at least one online purchase in 2016. The rise of cheaper smartphones is believed to be the main driver of this growth since they allow a much larger segment of the population to research, compare and purchase items in an efficient and convenient manner. It is this population increase that forms the demand side of PagSeguro's e-commerce ecosystem. 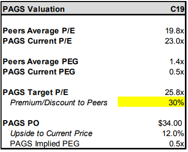 PAGS trades at a high price-to-earnings ratio, but has a low forward PEG ratio, as shown in the following chart. The above means that without considering PAGS growth, the valuation looks expensive, but after factoring in growth expectations, PAGS actually looks very inexpensive. Per FactSet, the average long-term growth rate estimate for PAGS is 79.6%, and the average 2020 sales estimate is USD $1.785 billion. PAGS price to 2020 sales estimate is 6.07x. PAGS is a powerful long-term growth company currently trading at a very attractive price relative to its value. If your're looking to add a some long-term growth and diversification to your portfolio, consider nibbling at PAGS, especially at its current low price. 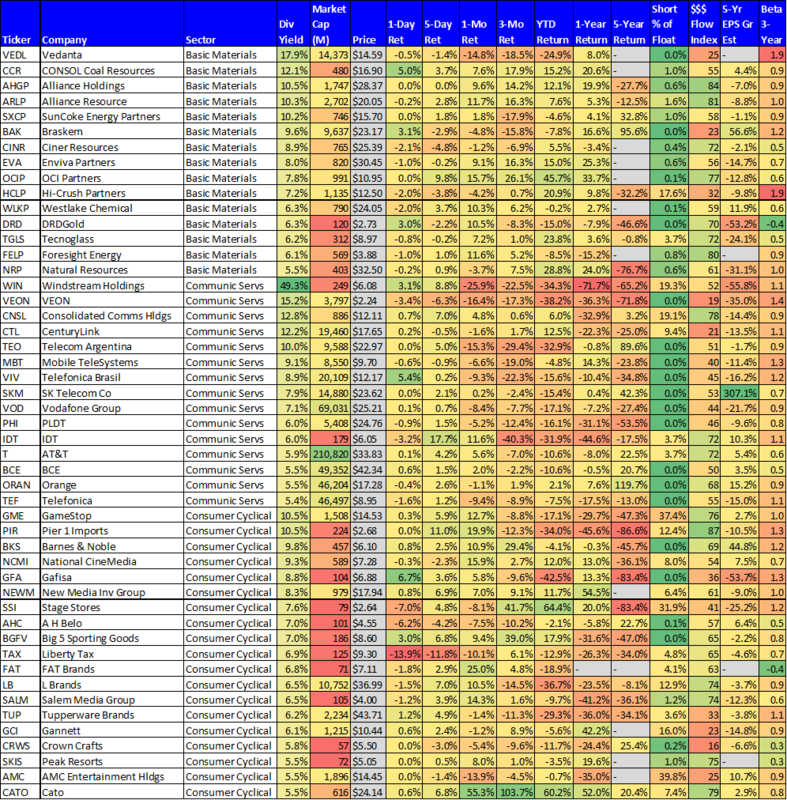 Do You Manage a Balanced Portfolio? As we’ve written about many times in the past (for example, here), Omega is a skilled nursing facilities REIT, and it has been facing challenges related to several of its larger facilities operators. Omega’s most recentl quarterly earning announcement calmed many investors' nerves, and the shares we up 18% during the month of May. Selling these calls generates upfront income for us. 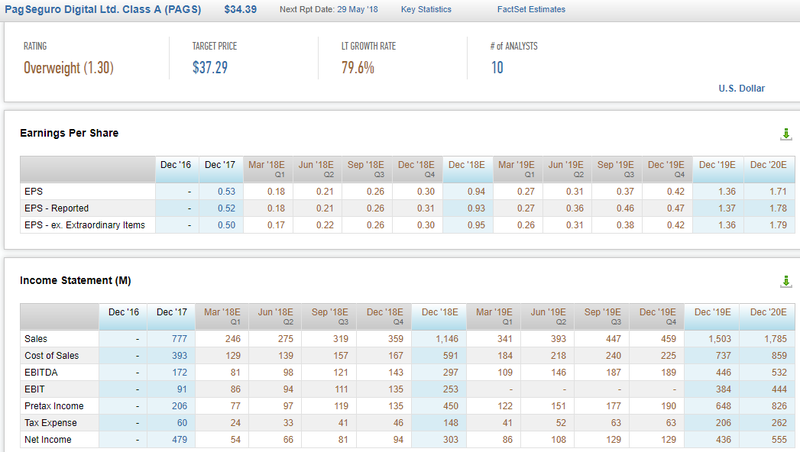 Specifically, we collect $0.25 per share, and considering the calls expire in about 1-month, this premium is equal to about 9.7% of extra income on an annualized basis ($0.25/$30.62 x 12 mos). We still like Omega long-term, but we suspect it’s not rising to $32 before these calls expire, so we’ll likely keep the shares (they won’t get called away from us), and we’ll keep the income we generate for selling the calls. 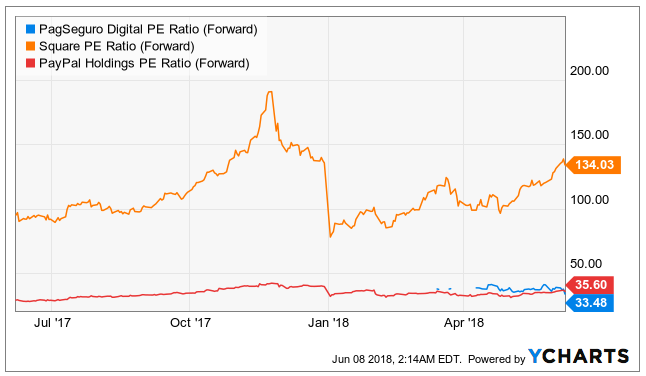 If the shares do get called away from us, it’ll be at $32, which would be a 4.5% premium to the current price, plus we keep the original premium (for selling the calls) no matter. As we wrote about here and here, Triton is a lessor of intermodal shipping containers, and we believe the stock continues to be undervalued despite its price gain in recent months. However, the premium income available for selling covered calls on Triton is also attractive, especially after the stock's recent gains in recent months (i.e. on a technical basis, it’s less likely for the shares to hit the call price before the calls expire, in our view). We like (selling) the July $40 TRTN calls to generate attractive upfront income now. Specifically, selling these calls pays us $0.30 up front, which comes out to about 10.2% of extra income for us on an annualized basis ($0.30/$35.21 x 12). Plus, if the shares do get called away from us, it'll be at $40, whereby we'd receive an additional 13.6% gain ($40/$35.21). We like Triton's long-term upside, but we'd be happy to let the shares go within the next month at $40 each. Many investors miss out on attractive opportunities because they too narrowly limit their opportunity set. We believe the ideas presented in this article are diverse, yet attractive, and they’re worth considering for an allocation in your overall investment portfolio, depending on your unique needs and situation. 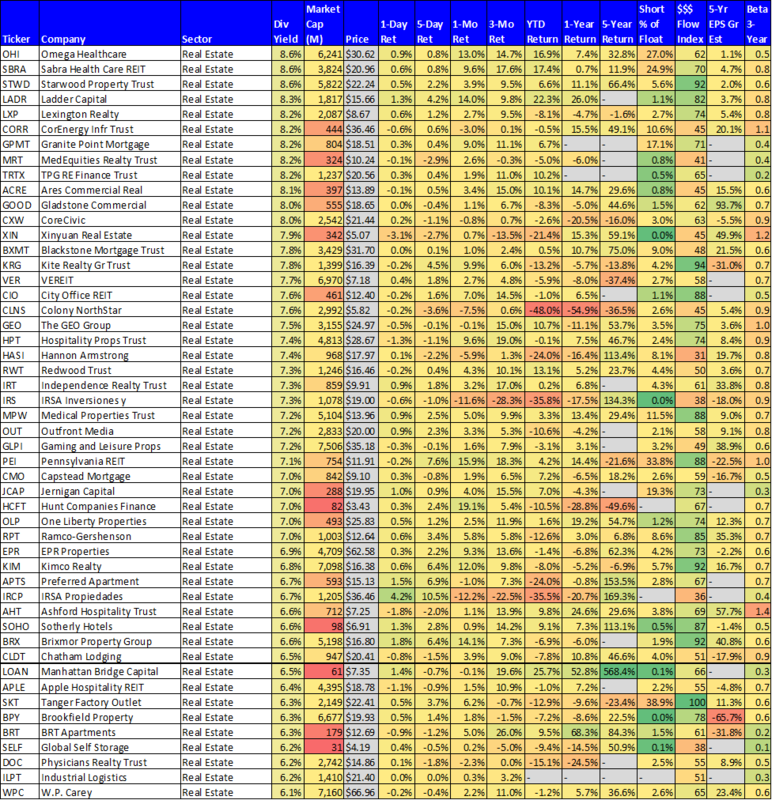 You can view all of our current holdings here.